One day only, shop online and get blockbuster savings on specially marked products, plus you’ll receive a coupon for 30% off regular prices of a future* purchase of LexJet branded media! This cyber special is only available online Monday, Nov. 26 while supplies last. 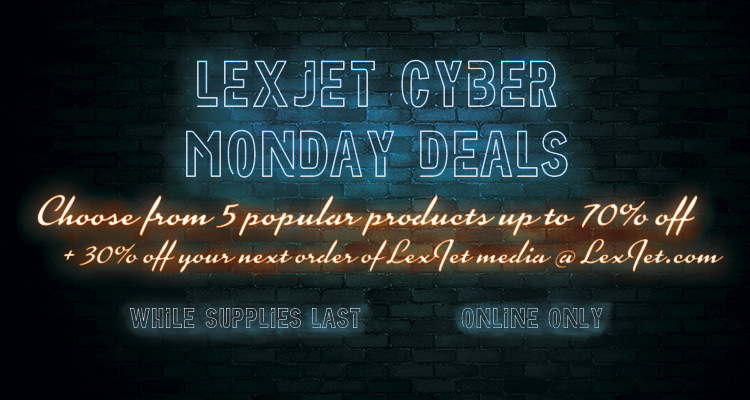 *30% coupon will be emailed by Nov. 29, 2018 and must be used on the purchase of regularly priced LexJet media before Dec. 31, 2018. With Father’s Day, graduations and summer upon us, now’s a good time to create gallery-wrapped prints that make wonderful gifts and turn fond memories into beautiful art pieces using the Goframe 1500 Pro kits, available from LexJet. Whether you’re looking to print on Sunset Select Matte Canvas or one of the new FlexTek fabrics – available in 200g SUV and 170g aqueous versions – the GOframe stretcher bars will easily turn your photos into works of art. According to LexJet Sales specialist, Matt Bailey, his customers love working with the GOframe bars. “They are very user-friendly, but if needed, we have ‘how-to’ videos available that show step-by-step instructions. Even though we have other bars, the GOframes are the most popular with my customers,” Bailey says. Aside from being easy to use, the Pro Series GOframe stretcher bars offer adhesive strips and archival glue to ensure proper adhesion and the reusable corner braces are perfect to keep on hand for future gallery wrapping projects. The next time you want to create a memory worthy of being displayed in a museum, try the GOframe 1500 Pro kits or call 800-453-9538 and talk to your LexJet specialist for additional information. 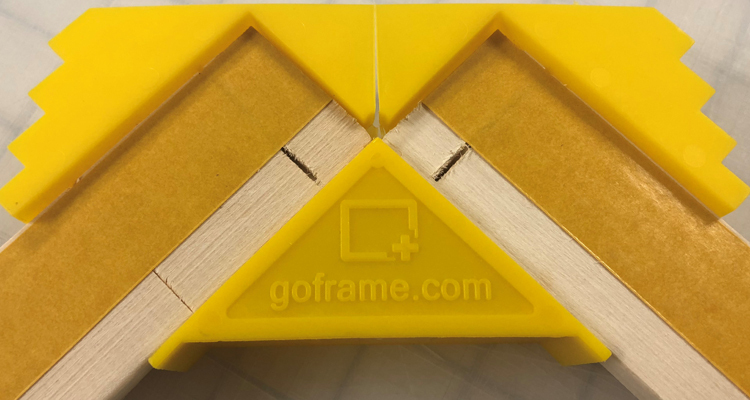 To see how easy it is to use the GOframe system, watch the video below for step-by-step instructions. 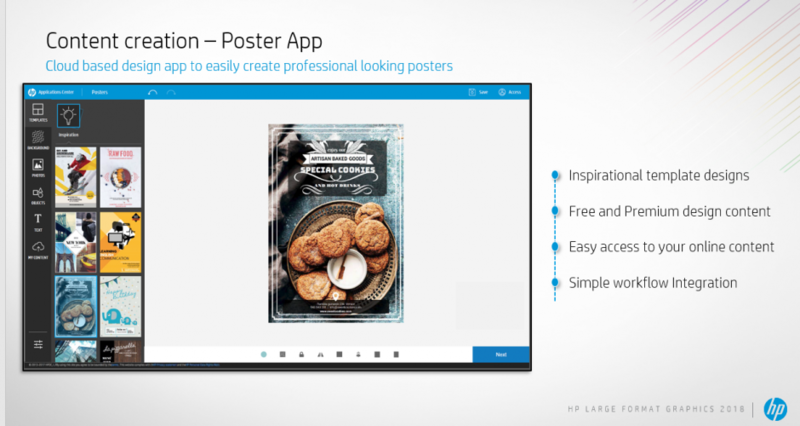 Looking for a multi-functional material that performs for a variety of uses, from canvas to banners and beyond? The new LexJet FlexTek PVC-free, non-woven technical fabric can do it all for a wide range of both indoor and outdoor applications. 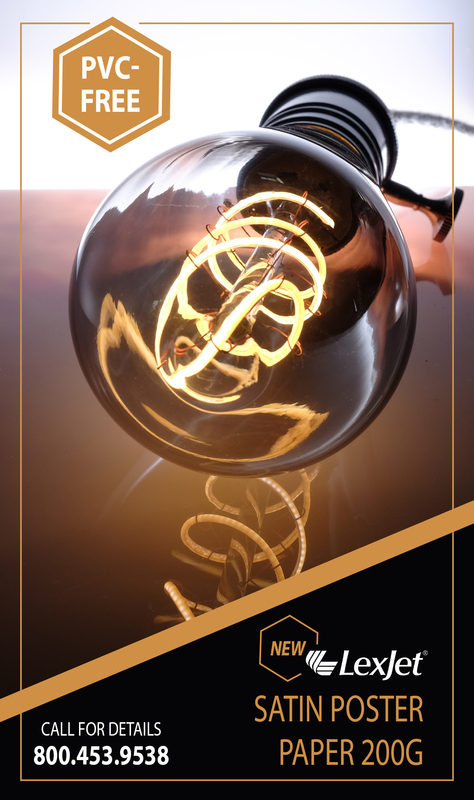 Starting at $0.35 per square foot, FlexTek a versatile, budget-beating, environmentally friendly option. Watch the video above to learn more, and give a LexJet print specialist a call at 800-453-9538 to learn more ways that LexJet FlexTek can work for you.